Major General Ali Abdullah Bin Alwan Al Nuaimi, Commander-in-Chief of Ras Al Khaimah Police announced the end of the operation on Monday with no loss of life, but 3,072 calls were made in total to the operations room in Ras Al Khaimah alone during the course of the storm on Saturday and Sunday. Al Nuaimi explained that his team was currently in the process of accounting for damage, with police allocating the number 901 for inquiries for members of the public whose vehicles were abandoned in affected areas. Bin Alwan said the weekend’s storm had been one of the strongest to have passed through the emirate in recent years and thanked all those involved in the rescue effort including teams from Dubai and Abu Dhabi for their support. Sharjah Police said they received 1,394 calls in less than 24 hours during the storm on Saturday and Sunday. Meanwhile, the downpour was the heaviest recorded so far this year and was aided by cloud seeding according to the National Centre of Meteorology (NCM). Wadi Shiha in the mountains of Ras Al Khaimah received a record high rainfall of 247.4mm. Dr Ahmad Habib from the NCM told Gulf News a total of 17 cloud seeding trips were conducted last week to boost the amount of rainfall in the country as part of the UAE’s national rain enhancement programme. Cloud seeding does not produce “artificial rain” but only enhances the amount of rain by infusing salt crystals into rain clouds. Meaning, since it’s going to rain anyway, NCM is only increasing the amount of precipitation through cloud seeding. Rain-deficient UAE has been using this process since 2001 to address the country’s annual average rainfall of less than 100mm or almost four inches. Partly cloudy skies are expected over the next five days but Dr Habib said he is not ruling out any more chances of rain in the coming weeks as the UAE transitions into summer. Historical records in the weather station at Jebel Jais showed March as the wettest month in the area with an average rainfall of 30.2mm between 2003 and 2018. The number drops to 6mm in April and further down to 0.3mm in May. Meanwhile, Dr Habib reminded the public to heed weather alerts that they send out well in advance for everyone’s safety. NCM as early as Wednesday (April 10) sent out warnings of the heavy downpour and potential flash flood forecast for Saturday and Sunday (April 13 and 14). 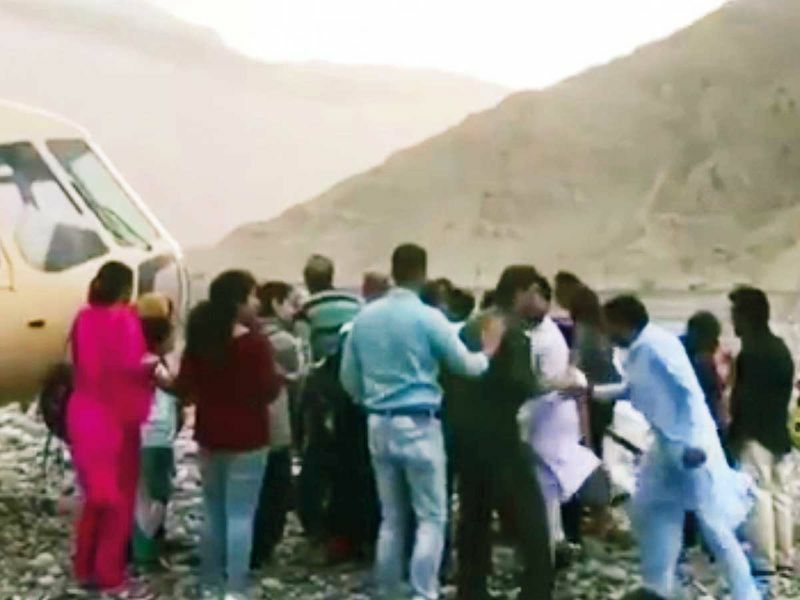 Yet hundreds were caught off-guard in the mountains and had to be rescued by Ras Al Khaimah Police. 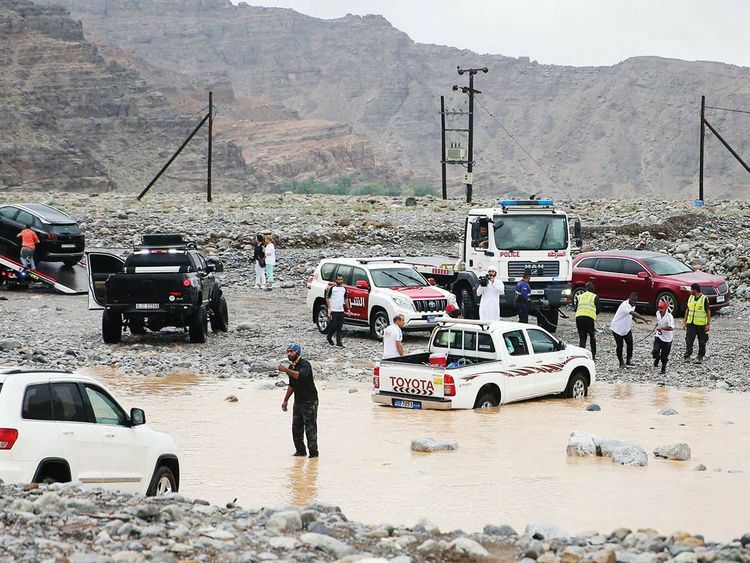 “NCM has time and again issued warnings for people not to go to wadis or near mountains prone to flash floods as they could be swept away by strong currents. We urge everyone to take our warnings seriously and to be cautious,” Dr Habib added.